Remote Control Car Just $23.99! You are here: Home / Great Deals / Amazon Deals / Remote Control Car Just $23.99! For a limited time only! Hurry over to Amazon where you can score this Remote Control Car for just $23.99 PLUS FREE shipping with Amazon Prime or for orders over $25! EpochAir remote control car is novel-designed RC car which possesses wall climbing function. The car has white protection strip and air suction set that can form a vacuum space at the bottom of the car. Thus strong absorption force will originate and makes the car walk fast on walls or glasses. This novel car can definitely bring endless fun to your kids and you, enriching your leisure time. [Dual-mode Innovative Car] EpochAir remote control car has tree adjustable gears: Floor, Wall and Off. It can race fast on the ground like a normal RC car. 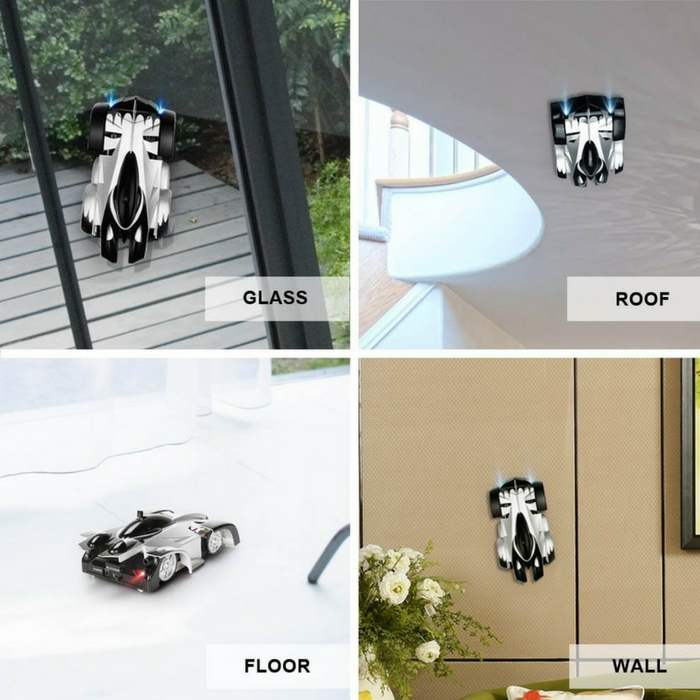 Meanwhile, designed from vacuum principle, the super absorption feature (originating from the white protection strip) enables it to climb and run steadily on the wall and glass, which makes it different from traditional remote control car and become a wall climbing car. [360°Stunt Rotation & Infrared Sensor Control] EpochAir remote control car comes with a infrared remote controller, with which you can not only control the running speeds, but also can you change the Forward/Backward as well as Left/Right Directions. The most amazing feature of this remote control car is that the car can do 360 degree rotating when forwarding and reversing, cool enough to play with. [Bright Head and Rear Lamps EpochAir] remote control car is equipped with bright head and rear lamps. The lights are intelligent: when moving forward, the two head lights will bright; when drawing back, the two rear lights will bright; when turning left, the left head and rear lights will turn on; while turning right, the lights on the right side will turn on. The LED lamps will emit bright light in darkness, bringing endless fun to kids.